Lord Vishnu is one of the most celebrated and worshipped figures in Hindu mythology. 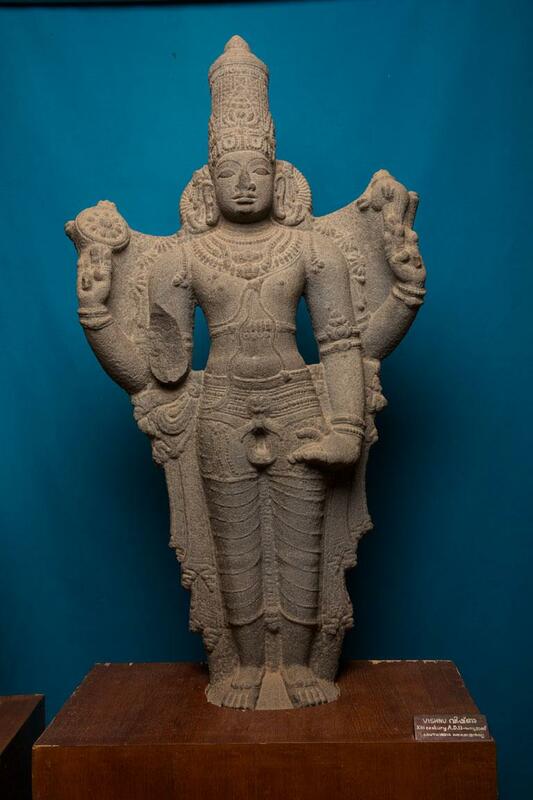 The sculpture is a four handed Vishnu in standing posture. An arm is damaged. In this sculpture, Lord Vishnu is fully ornamented. One hand is in katak-hasta pose.